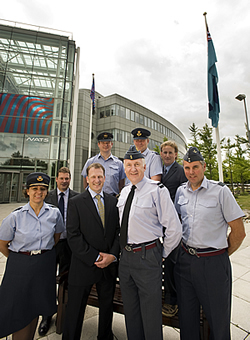 11th August 2010 – NATS hosted Air Commodore ‘Ginge’ Crayford (Assistant Chief of Staff Battlespace Management at Headquarters Air Command) today at its Swanwick Operations Centre in Hampshire, following the successful completion, three years ahead of schedule, of Project Eastern Sunrise. As part of the NATS and MOD strategy for military controllers to operate on the same technical platform and in the same operations room as their NATS colleagues, Project Eastern Sunrise completes the transfer of London Military operations from West Drayton to Swanwick, and the move of the Scottish Area Control Centre to the new NATS Prestwick Centre near Glasgow. “The success of this project is testament to the excellent relationship between NATS and the MOD, and ensures that we can continue to achieve tangible operational benefits coupled with training and Unit manpower efficiencies. During the visit Air Commodore Crayford thanked NATS and all those military personnel who have contributed to the success of this project. “the control of military aircraft in busy, commercially-dominated UK airspace demands levels of activity and coordination that leave no room for compromise or error. Against this background, the pressure to conserve resources and drive out inefficiency has never been greater. 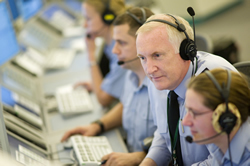 The successful completion of Project Eastern Sunrise meets both of these tenets and reinforces the benefits of a Joint and Integrated approach to Air Traffic Management in the UK and the continuing successful partnership of NATS and the MOD”.